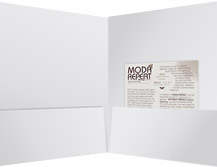 Include pocket-size business cards with your other marketing materials for a lasting reminder of your brand. 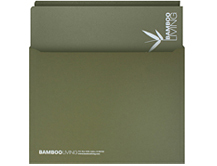 Store folders and other collateral in a secure portfolio to make organizing and mailing easier. 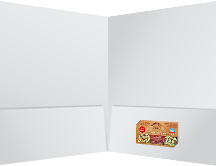 A folder with stepped inserts lets you display information in a way that's both attractive and intuitive. 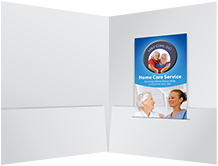 Share valuable information with your folder recipient by including portable and convenient brochures. 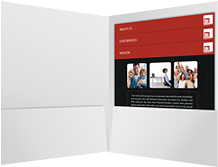 Rack cards fit beautifully into folders or other presentation materials, using concise space to make a big impression. 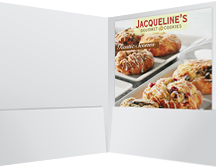 A sell sheet is a great way to add promotional photos, graphics or text to any marketing package. 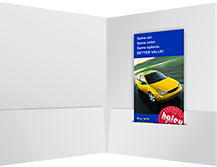 Custom-printed postcards act as a lightweight, portable source of vital information inside your folder.